Reveal the secret of being healthy and happy in the laureate and rosy days of motherliness! During the days of pregnancy, women body pass through a lot of changes and these changes can sometimes make her feel uneasy or may be uncomfortable too. A prenatal massage therapy is the best remedy, but be careful in choosing the right massage center. The latest research has proven, massage and pregnancy usually have wishy–washy responses from the prospect of health and the prenatal massage therapy works as the instrumental ingredient. The prenatal massage helps in reducing anxiety and depression, relieving muscle pains and joint aches along with meliorating labor pain and make neonate healthy. We exclusively cater to the needs of prenatal and postpartum for women. 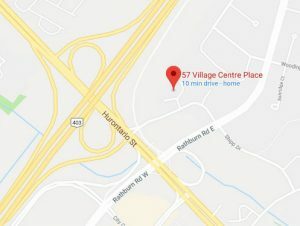 If you have a massage before, Prenatal massage in mississauga, so this is bit different, and here at Village physiotherapy center, we prefer pillows for stability for the mother to be, and the therapist would adopt the best techniques to make her feel the stress-free, relax and rejuvenated. The particular techniques developed by our expert therapist helps in addressing the specific health-related issues like as digestive and uterine/ovarian asks, fertility enhancement and labor enticing techniques. Despite professional treatment from our experts, you will feel the soothing touch to the body, and it will dissolve the level of stress and present you the best ever rosy feeling with emotional benefits. Here at Village physiotherapy – prenatal massage in Mississauga, believe the calmness of mother body will preparing her body for labor and dawning a healthy infant. The count of massage is up to you only. However, the more often you get the massage, the more special the pregnancy will be. The usual course of a session will be of around 60 minutes wherein the time of hand massage will be of approximately 45 – 50 minutes. Here our therapist uses the gentle and gliding strokes for soothing the broad areas of the body like as legs or shoulders or back or any specific problem areas without applying too much pressure and ready the muscles tissues if in any case the deeper massage is required. Luckily, the village physiotherapy is the best in town prenatal massage center in Mississauga rigged with skilled, talented and expert massage therapists to pamper you and your new to be born at a time when it needs the most.